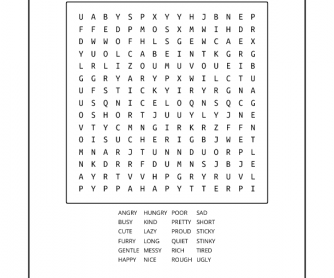 Help students learn to recognize common English adjectives with this Adjectives Word Search. 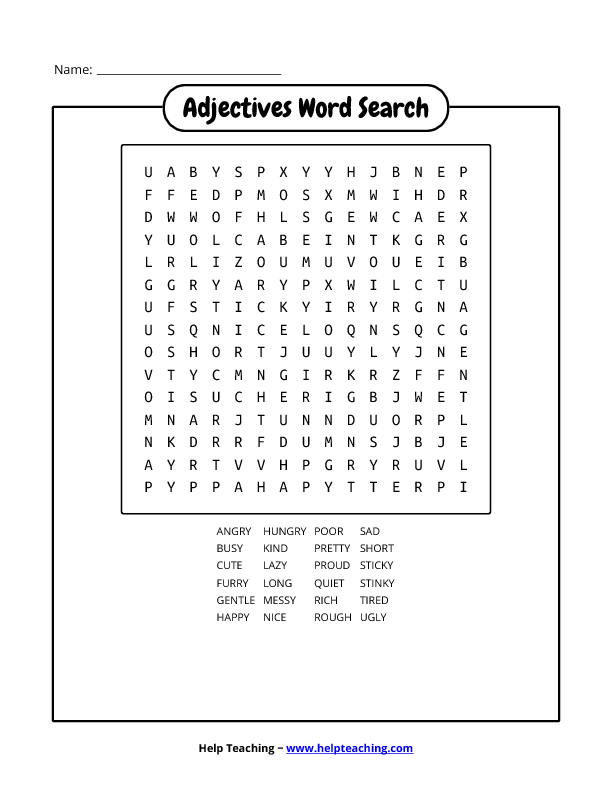 Students can find the adjectives in the word search, and then practice using the adjectives in a sentence. Find more basic grammar worksheets on HelpTeaching.com.